@ Check the Forums for the unbelievable list of theories that have been circulated for the past 4 years. @ Also when starting games, There are four options. It is recommended to play the game Normally, starting from Episode 1 with plunge and battle cheats off. @ This download is just for Episode Five, look for other entries for other episodes. As you wander the way, you will face many choices of what to do or say at certain junctures. These decisions, in total, will have far reaching effects and perceptibly alter certain events as the game progresses and culminates in 3 different endings. The Way is a game of many mysteries and many secrets. The curious and clever will both reap great rewards. puzzles prevents some special bonuses from being bestowed. The Way features many custom graphics, including a plethora of facesets. The hero, Rhue, has nearly 50 different expressions, making him one of the most expressive heroes in RPG history. While the style used in The Way is similar to Rm2k's default graphics, the majority of the graphics are original works. Most notably, The Way makes use of lush environments rendered in Bryce 3D. If you think most Rm2k games look the same, it's time to look again. There is nothing quite like The Way. fan-packed arena, complete with a roaring crowd and sensational entrances. You will never find yourself equipping new armor or a new sword in The Way, at least not in the typical sense. Instead, The Way uses auras to help players improve their attack and defensive powers. By defeating foes with various aura's "equipped" you will improve an aura's stats and learn new specialized skills. Additionally, players who find out which aura an enemy is weak to will be able to cause extra damage. The Notch System is another way to increase abilities in The Way. During the course of the game, players will come across items which can be set into a notch on the hero's sword. By absorbing these items, the hero will acquire new skills and increase various attributes. 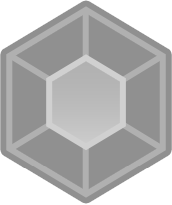 Absorption is accomplished by defeating foes and gaining specialized points. Given the number of notch items in the game, it is largely the player's decision as to what skills or attributes they want to increase. The events of The Way come to a brutal head.